Recommended Alternative — The Wireless Weather Sensor with GPS can perform all of the functions of the PASPORT GPS Sensor at the same price while also providing all the major environmental measurements if desired. Best of all, it connects directly* to your computers, tablets, smartphones and Chromebooks without the need for an interface and with no cables to get in the way. Create geospatial awareness. Use PASCO's GPS Position Sensor to collect GPS data simultaneously with other sensor measurements, automatically synch the data to your latitude, longitude, altitude, and velocity. Absolute Position Mode: Pinpoints your location in the world and reports the latitude and longitude within a resolution of 2 meters. 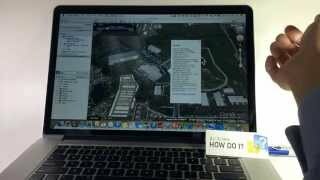 Then this data can be imported into Google Earth (see the video below) to overlay all your sensor data on maps or aerial photos. Relative Position Mode: This special mode enables a higher resolution (0.2 meters) suitable for physics experiments involving bicycles or people running or walking. This mode is used for motion experiments in which the position in the world is not required. Velocity is obtained by Doppler from the satellites, not by the calculation of position data. The highly sensitive receiver is able to track satellites even under tree canopies. An LED indicator indicates whether the GPS Position Sensor is able to triangulate its position. The GPS Position Sensor uses the Global Positioning System maintained by the U.S. government. The system consists of more than 24 satellites that broadcast ranging signals and other necessary data. For the Position Sensor to determine its own position and velocity, it must receive data from at least three satellites. When the sensor is first powered on, it searches the sky for available satellites. This process typically takes between 30 seconds and 2 minutes. Once satellites have been identified, the sensor actively tracks them and acquires new satellites as they come into view. 0.2 meters relative position mode. 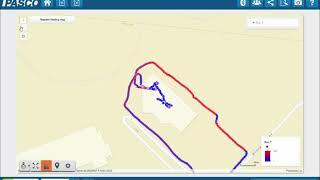 GPS data can easily be exported into 3rd party applications such as Google Earth for further analysis. Now that you have spatial data, combine it with weather measurements for a complete weather study. The Weather Anemometer Sensor measures wind speed and wind chill in addition to temperature, barometric pressure, relative and absolute humidity, and dew point.